Are you currently using Lytec billing software but need additional help with revenue cycle management? 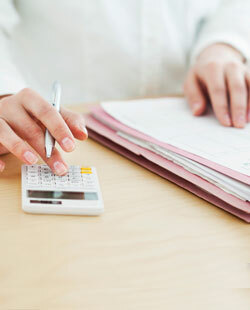 At 5 Star Billing Services, we understand that small practices and independent physicians have unique requirements when it comes to managing revenue and practice management. For this reason, our medical billing experts provide quick, efficient, and accurate billing services using your current Lytec billing software, with the ability to process claims within 12 hours. When you contract 5 Star Billing Services, our medical billing and coding experts become an integral part of your practice. We process claims through your Lytec billing software, meaning you can continue administrative tasks as usual. There’s no need for you to change your current in-house billing software. Lytec provides features such as easy-to-read, single-screen data display, notifications when the number of eligible visits for a patient has expired, and alerts when payments are past due. However, only medical billing professionals can ensure that your practice is able to maximize payments through advanced billing analysis. Our medical billing experts are always up-to-date with constantly changing billing regulations and documentation practices. Medical coding professionals ensure that codes on superbills are correct before processing claims, resulting in more efficient processing and quicker payments. Are you ready to increase your overall revenue and save on operational costs associated with in-house billing by contracting medical billing and coding professionals that can work with Lytec billing services? Let us manage your revenue cycle in a transparent and HIPAA-compliant manner using Lytec billing software. Contact us today online or call us at 480-821-1371 to learn more about how our medical billing experts can maximize your revenue using Lytec medical billing software.